We were delighted to welcome Robert Courts MP to our head office in Witney. Robert is the Conservative MP for Witney and was keen to find out more about what we do. 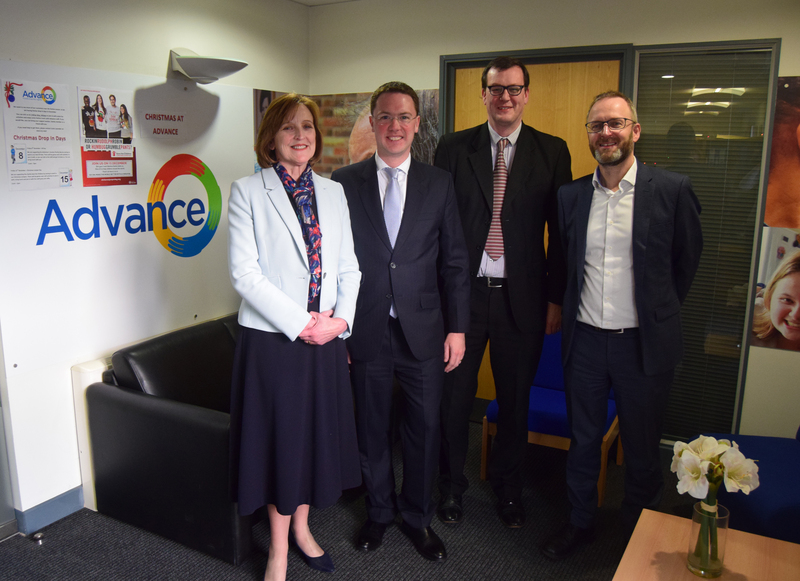 He visited one of our local shared ownership customers in their flat and then came back to our head office on Witan Way to have an informal chat with (left to right: Chief Executive Julie Layton, Robert Courts MP, Head of Investment & Development Graeme Jackson and Director of Housing Ian Gilders). Mr Courts said: "It was wonderful to meet Advance staff in Witney and hear more about the valuable work that you do."